It has been a while since I finished my English Channel swim. After these months since July, I had time to recollect some events that happened during those days and now I had come to the conclusion this is the right moment to write about it. After my unsuccessful attempt in July, 2015, I tried to make sense of the factors that impaired my swim. I considered I had the correct adaptation to the cold temperature, even though I live in a place not known by low temperatures (Dubai, United Arab Emirates), and my physical condition was fine. The main problem was the fact I was not used to swim in rough waters. Most of my training was done in calm waters, at the sea, and in pools. Thus, for my new attempt in 2016, I planned to do two water marathons in my country, Brazil, before the opening of the English Channel swim season. 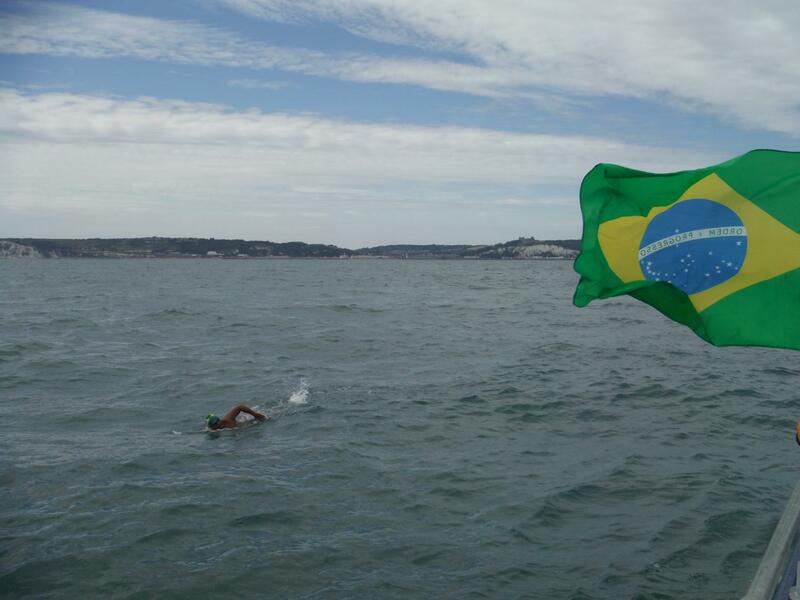 The first one was to swim around an island with total distance of 20km (Ilha do Mel, Paraná), and the last one was quite challenging: to swim from shore to another island, with a total distance of 23km (from Bombinhas to Ilha do Arvoredo, Santa Catarina). 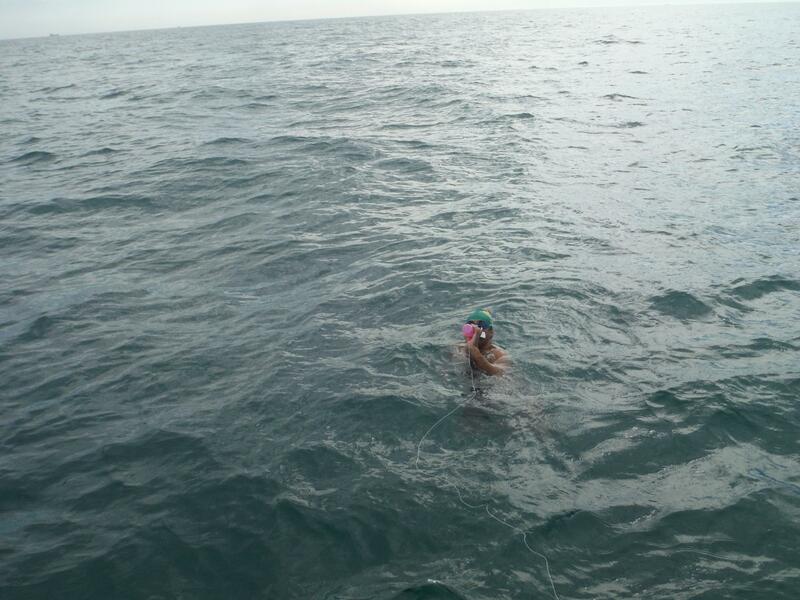 This swim was wonderful because if replicated several things I had met during my attempt in the English Channel. I started at night, with quite agitated water, and the onset of winter in the Southern Hemisphere created the kind of temperature I was expecting to find again in England. I even swam with dolphins and the swim was magical! After those water marathons, I felt much stronger, both physically and psychologically. I was ready to try again! Due to the fact that I had aborted my attempt, I could not be granted a fixed slot with the SUVA. So, I would be advised at the last minute. This would add another challenge, because I would have to fly to UK quickly and I would not be expecting too much time to adapt to cold water nor to have enough time to rest. 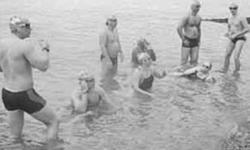 Every English Channel swimmer is told not to be worried about the weather and to leave the task of choosing the date of swim to his or her pilot. I had this in my mind, but I felt I should have some control of my swim. The perspective was not very bright, as SUVA was completely booked for the entire season and, on top of that, there were several fit-in swimmers from the previous season. In order to be acquainted with the weather, I was checking constantly the windguru.cz as soon as I came back from Brazil. My family was enjoying their Summer holiday in our country and I had all the time to concentrate in my routine: office time, training, sleeping and…dreaming. Then, on the 18th of July, the weather forecast for the following weekend looked very good. It was a very strong Spring tide and there was just one swimmer ahead of me. I sent an SMS to my pilot, Neil Streeter, asking his opinion and then I headed to the pool for another practice. When I left the pool, I almost dropped my mobile on the ground: he said simply “yes, end of the week looking good, you coming over?”. I would have to leave on Thursday in the first flight to London Heathrow, to possibly swim on Friday! From that moment on, everything happened so quickly that it is hard to believe I managed to succeed! 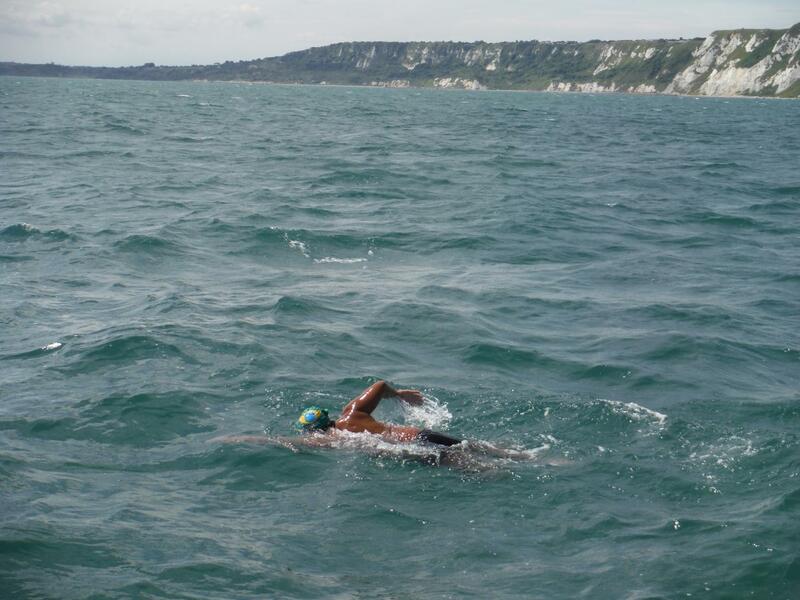 Looking back, the only thing I can conclude is that I had realized THAT was my chance, and I would fight with all my energy and will to swim the English Channel. I had to make some arrangements before leaving for Dover. First, I had to finish some things in my office. Due to the Summer holiday, I had to replace some staff who were out, and this postponed my trip to Thursday morning. The problem is that I would have to teach two all-day classes in a row, and of course this would make me feel a bit more tired even before flying. So, I had some difficulties to tackle: no sufficient time to rest, jet lag, arriving in the last minute, but I had the will to overcome everything. Even though I had all these difficulties to arrest, I had the support of an amazing friend who I had met during an Adam Walker’s swim camp in Malta, Ms. Tracy Clark. In 2015, she was living in Holland with her family and she came all the way to Dover to help me. We kept waiting for the weather to improve after my unsuccessful attempt, but to no avail. She promised she would come back when I tried again. Thus, I told her I would fly to UK on Thursday, the 21th, and she said she would be at the Varne Ridge Camping by mid-day. With my heart full of hope, I took off from Dubai at 2:50 AM on the 21st. By mid-day UK time, I arrived at the Varne Ridge in Capel-la-Ferne. It was the same time Tracy arrived as well. We went for a quick swim at the swimmer’s beach and, coming back to Varne Ridge, we started to prepare all the stuff for the swim. Several things were agreed upon. First, I told her I would never ask where I was during the swim. She replied “I would never answer it anyway!”, and I laughed a lot. I would take with me two strobe lights, because I don’t like the light stick on the back of my speedo. I don’t like the Channel grease, thus I always trained with lots of Vaseline and it always worked fine with me. My feeding strategy was: first feeding after 1 hours, then every 30 minutes. Five minutes before my feeding, she would wave her hand to indicate we were due to feed, and I would have to come closer to the boat. As I breathe from my left, I would be positioned to the right of the boat. The weather forecast was solid for the next two days now and it looked extremely favorable, with light wind coming from North. This would make me breathe some fumes from the Diesel engine but this would not be an issue for me – luckily, I am very tolerant to the smell of the fumes. 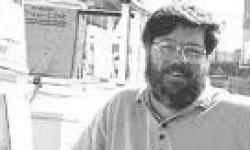 Neil Streeter instructed us to be at the Marina around 12 o’clock the following day. I slept completely calm and I tried to rest as much as possible. The next night would be spent swimming, since my swim would start around 1 PM. The next day was a glorious Summer day. The wind was behaving exactly as forecasted. The Sun was shining and everything looked so right I could not stop smiling. I knew I would succeed! We arrived at the Marina, joined the crew from SUVA (Neil Streeter, Sam Jones and Adrian), and the observer from CS&PF (Matt). After a small briefing about the swim, like recapping the rules etc., we departed to Sapphire Hoe. On the way out of the Marina, I noticed there was some swell but not too strong. I was not worried about that. Tracy helped me finishing all the preparation, I put my ear plugs and I jumped into the water. I was absolutely overwhelmed by the joy of trying again, and I was so happy because everything looked right. Now, it was up to me to deliver everything I had trained during all those four years. Then, at 1:19 PM, I reached Sapphire Hoe. A family of beach-goers was startled to see me leaving the cold water. Tracy told me that, even at that distance, she could see their jaws dropping almost to the ground when they realized I was about to start swimming to France, and that my left leg was missing below the knee! I prayed for a little while, and then the horn sounded. My adventure started again! The swell was light and I was swimming quite easily. The sky was blue and the wind made the Brazilian flag, which was attached to a pole in the boat, to fly weakly. As agreed, the first feeding came after one hour. The water temperature was around 15-16°C and it was very comfortable to swim keeping my rhythm of 60 strokes per minute. All of a sudden, I overheard a huge noise above the water! I stopped swimming and I saw three F-15E from the United States Air Force flying over us. I felt a wave of motivation taking me on completely: I felt I was being greeted by them on my way to France. After some time, the swell receded and, by the moment I reached the first shipping lane, around 5 PM, the sea was very calm. I saw lots of ferries nearby. Of course, I could not figure out where I was, and sometimes I raised my head to look around. Tracy asked me not to do that because my neck muscles could be affected. The Sun was shining and I felt blessed to be in such wonderful conditions. The feedings occurred routinely. Every thirty minutes, I stopped, had my feeding and exchanged some words with Tracy, trying to keep the breaks as short as possible (in the end, I realized I was stopping for only 10-20 seconds). I had also to tell her whenever I was peeing, because this would indicate my kidneys were working fine. There was a moment I was feeling so well that I stopped and I shouted: “This is so wonderful I want to stay here forever!”, and she replied “Shut up and go on!”. I was smiling, shouting “PEEEEE!” from time to time, and I remembered the words from another Brazilian English Channel swimmer, Adriano Passini: “When swimming the Channel, you have to enjoy the swim!”. That was exactly what was happening. I was enjoying totally that moment. It was still daylight when I saw the first jellyfishes. Some of them where huge, very colorful and they were underneath me. Before reaching the separation zone, around 8 PM, I met some seaweeds and I was stung by a small jellyfish in my left arm. I was afraid of being stung in my face or even swallowing them. I stopped and said there were lots of jellies. Sam Jones just indicated for me to go on, then I continued. Separation zone was reached around 8.30 PM, and the sunset was 8.55 PM. The night came very slowly. Them, everything was dark, with the exception of the SUVA. I felt very comfortable swimming at night, and that moment was very peaceful: dark, cold, and the silence was broken only by the distance murmur of the engine. The strong tide was low by the moment I reached the separation zone. We continued drifting South. Sometimes I looked ahead and I could see a beacon shining intermittently at where I thought was Cap Gris Nez. I tried not to be too far from the SUVA and I was feeling OK, not very tired but my stomach was feeling the effect of the continuous injection of Maltodextrin. I was not dizzy but the monotonous feeding was taking its toll in my mouth and my stomach – I felt like I had a soccer ball in my tummy. Around midnight, 3 hours after the sunset, the tide started to turn again. Then, the most challenging part of the swim had started! Due to the shape of the Cap Gris New, which protrudes from the French coast into the Channel, the rising tide acts against the swimmer when he or she is getting close to France. The result is that you start to swim sideward, and you can barely advance towards the shore. The Spring tide makes this effect even worse. By that moment, Tracy called me and said “Luiz, listen: from now on, PUSH!”. Those words had an electric effect on me. Up to that moment, I was repeating sentences, kind of mantras to keep my mind busy during those long hours when I was only supposed to swim. I prayed a lot and I imagined my two kids telling my story at their school. I imagined them telling me “Daddy is a hero!”, and I repeated this countless times. However, when Tracy said “NOW, PUSH!”, my mind was completely blank. I concentrated all my mental energy in just keep swimming the strongest way I could, after almost twelve hours, and I somehow found energy to do that. 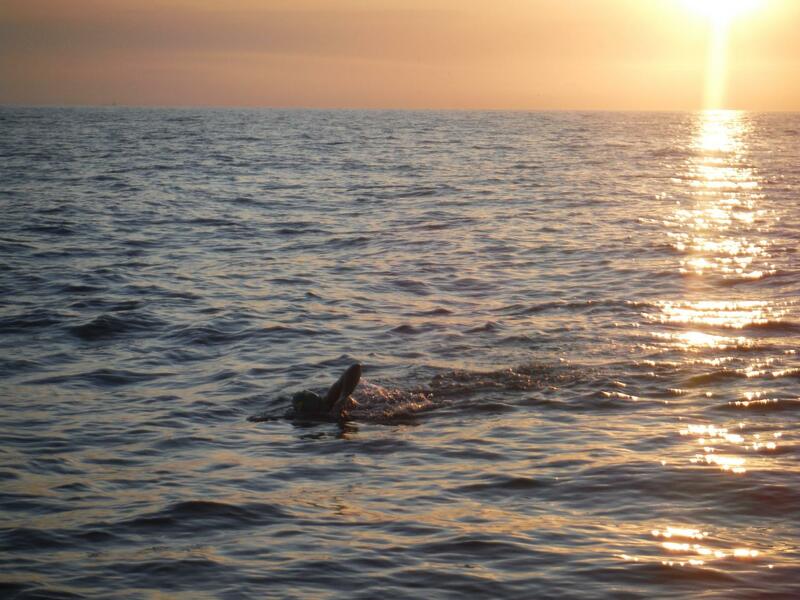 This is the most challenging moment of any English Channel swim. At 1.15 AM, we reached the second shipping lane in French waters. The beacon at the Cap Gris Nez started to drift to the right, and then I came to the conclusion the tide was rising. Then, in the dark, I noticed some lights approaching our boat. I was a bit confused by the change of direction from SUVA and, for a brief moment, I was disorientated. Then the boat sounded the horn and I could find my spot near it again. 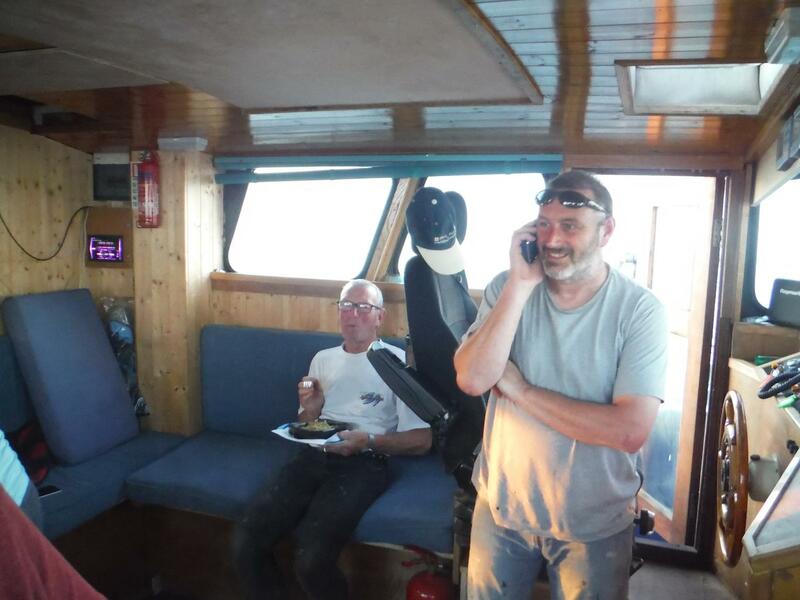 After finishing my swim, when I boarded the boat, Tracy told me the other boat was bringing to UK another swimmer who had just landed in France after finishing his swim, James Danaher. He came to greet me in the water but, obviously, I could not see anything. I continued swimming as strong as possible and Tracy told me I managed to break the tide and could swim easily now. I was very happy in seeing the full Moon, the culprit of that strong tide – I acquitted her anyway due to its beauty, hovering over France like a shining beacon. There were plenty of lights in France now, and I could clearly distinguish some of them from the others, which indicated we were getting closer. In no moment I was feeling I could not make it. I was not rushing to land soon, and I was enjoying each and every moment in the water. The rhythm was a constant 60 strokes per minute, and this lasted till the very end. Then, I started to see the day light in the French horizon. That vision just added to my happiness. At that very moment, I knew I would reach France! The day light was coming faster, the cliffs of Cap Blanc Nez were becoming clear and clear. Tracy called me and said we were one mile from shore, and with a bit of humor I was wondering if she was referring to a Nautical (1,852m) or Land Mile (1,609m). Anyway, we were less than one hour from landing in France. After some minutes, she called me again and said that was the last feeding! I was expecting that moment to happen, but I was so focused in my swim I feel I could not commemorate too much. Now Cap Blanc Nez was very clear and I could spot some of its features, like the thousands of birds who were flying and their nests, placed on the almost vertical slopes of the Cape. In the boat, I saw Tracy getting dressed and ready to jump into the water; she was wearing the same Brazilian swim cap as me. I was almost there. My dream was about to be fulfilled! Looking down, I started to see some shades in the deep. 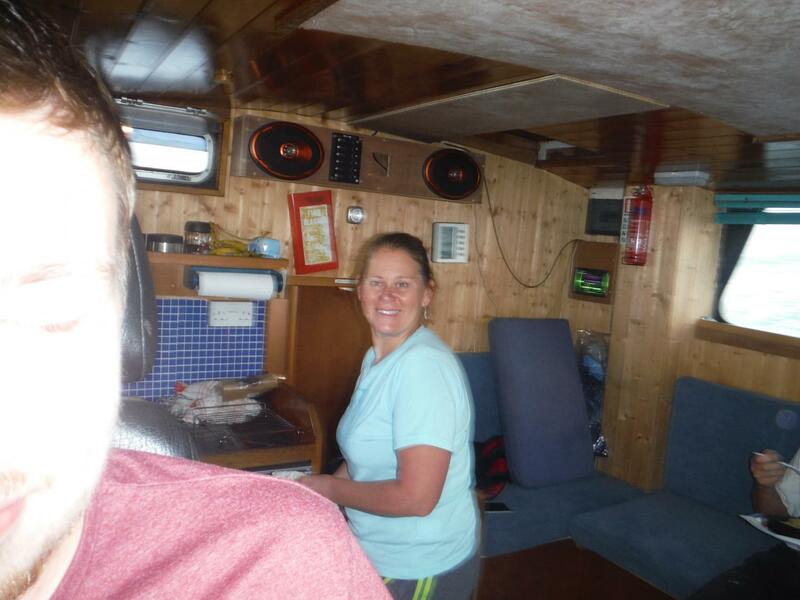 My body started to be rocked by the waves, who were pushing me gently towards France. Tracy swam by my side, a bit far and after me. The waves were now stronger and, all of a sudden, after moving my right arm in the stroke, my right fingers dragged the French soil! I was tired enough not to risk jumping out of the water, thus I decided to crawl like a little baby. Tracy was by my side and by her voice I noticed she was crying in that absolutely emotional moment. I tried to find a dry place but the shallow beach did not offer too many places where I could be out of the water. So, I kept moving, obeying her commands, until I found a good place to stop. I asked once “Finished?”, and I had the impression she waved to the boat and the observer. Then, the horn from SUVA sounded. I was an English Channel swimmer! I swam for 15h54 from Sapphire Hoe to Cap Blanc Nez, a great circle distance of 37km. Tracy hugged me and I said to her “I cannot believe I have done it!”. She said “I always believed in you!”. After stopping, the effects of the cold started to affect me. Tracy asked me to come back to SUVA and she collected some stones as mementos of my swim. She quickly joined me swimming back to the boat and I shouted “PEE!!!”. We laughed a lot, recalling all the moments when I added water to the English Channel. I boarded the boat with some difficulty. After being covered with some towels, I start to shiver with cold. 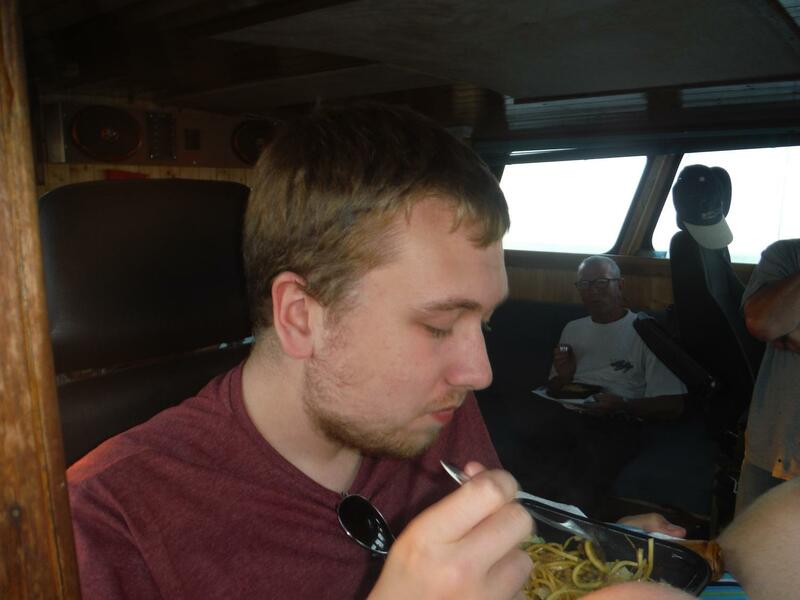 Then I was taken inside the boat and I laid down, having been told not to sleep…until I woke up just before reaching Dover! 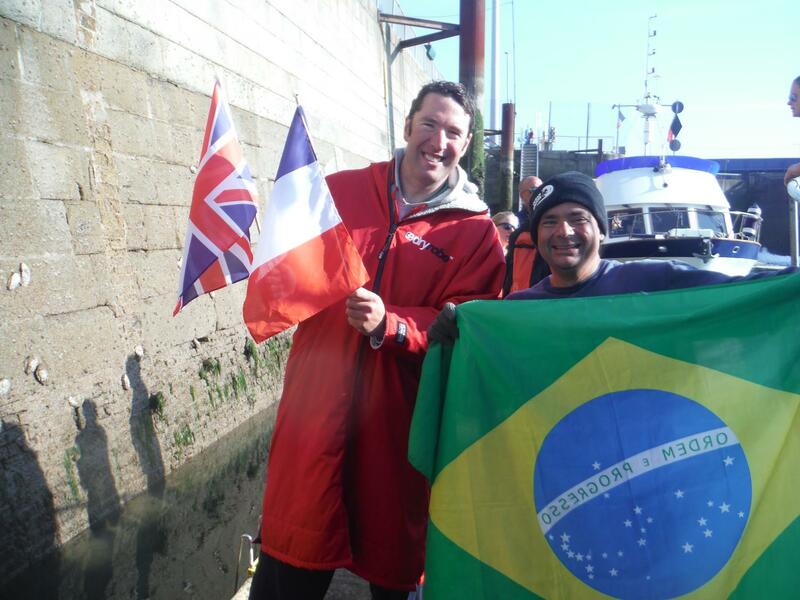 So, this is the story of my English Channel swim. I want to thank everyone who helped me in reaching my dream.